R. McCants Andrews (Robert McCants) John Merrick. A Biographical Sketch. John Merrick. A Biographical Sketch. [Durham, N.C.: Press of the Seeman Printery, 1920]. African American business enterprises -- North Carolina -- Durham. 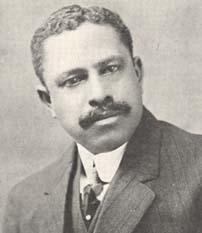 African American businesspeople -- North Carolina -- Durham -- Biography. African Americans -- North Carolina -- Durham -- Biography. Minority business enterprises -- North Carolina -- Durham. Moore, A. M. (Aaron McDuffie), 1863-1923. North Carolina Mutual and Provident Association. North Carolina Mutual Life Insurance Company.